Apart from providing education opportunities at an international caliber as well as a wealth of knowledge and experience, Turkey also offers scholarships to outstanding international students from all over the world to study in the most prestigious universities in Turkey. Algeria, Andora, Antigua and Barbuda, Armenia, Bahrain, Bangladesh, Barbados, Belize, Benin, Belarus, Bolivia, Bosnia and Herzegovina, Brunei, Bulgaria, Burkina Faso, Cape Verde, Central African Republic, Djibouti, Cambodia, Cameroon, Chad, China, Comoros, Congo, Croatia, Cuba, Democratic Republic of Congo, Dominica, Egypt, Equatorial Eritrea, Estonia, Ethiopia, Finland, French Guiana, Gabon, Gambia, Ghana, Greece, Guinea, Guinea Bissau, Grenada, Guyana, Georgia, Haiti, Hungary, Iraq, Iran, Israel, Ivory Coast, Jamaica, Jordan, Kazakhstan, Kosovo, Kuwait, Laos, Latvia, Liberia, Libya, Lithuania, Lebanon, Madagascar, Macedonia, Malawi, Mali, Marshall Islands, Mauritania, Mexico, Montenegro, Mongolia, Morocco, Niger, Nigeria, North Korea, Oman, Palau, Palestine, Poland, Qatar, Romania, Russia, Saint Kitts and Nevis, Saint Lucia, Saudi Arabia, Sao Tome and Principe, Senegal, Serbia, Sierra Leone, Slovakia, Slovenia, Somalia, Sudan, Suriname, Syria, St. Vincent and the Grenadines, Taiwan, Togo, Trinidad and Tobago, Tunisia, Turkish Republic of Northern Cyprus, United Arab Emirates, Uzbekistan, Venezuela, Yemen postgraduate applications will be received in the second round between 5 February - 5 March 2018; while undergraduate applications will be received in the third round between 16 April - 27 May 2018. Application can only made online through www.turkiyeburslari.gov.tr. Candidates are required to submit/upload all the required information and/or documents through the application system. Applications made by post, courier or by hand will not be accepted. 1. Are there any authorized persons or institutions for the application? 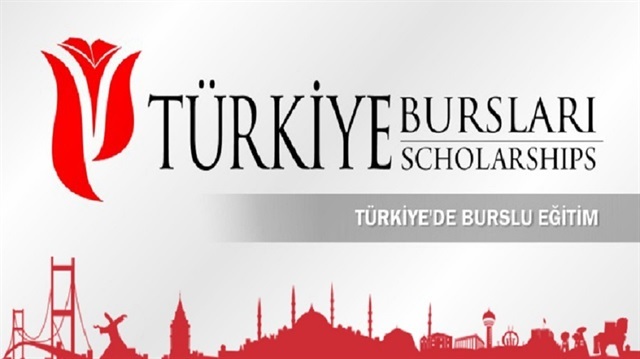 There are no institutions or persons authorized to apply for Türkiye Scholarships. Candidates must submit their applications to www.turkiyeburslari.gov.tr personally. Candidates are strongly advised to carefully read the instructions and warnings in the application system. 2. Is there an age limit for the applications? age for master's degree and 35 years of age for doctoral degree. 3. Is it a must to be a graduate in order to apply? the end of the current academic year. 4. Are there required documents to be submitted during the application? Candidates have to meet the criteria of the university and department which they choose. If it is requested by the university or department, candidates must submit the necessary documents such as the scores of SAT, TOEFL, DELF, YDS, etc. Applications of candidates who do not submit the required documents will not be evaluated. 5. How is the evaluation process of the applications? In the evaluation process of the applications, candidates will be evaluated based on their eligibility to the application criteria of the program applied for as well as their academic and social achievements. 6. Is it possible for the candidates to choose any department which they want? In the application system, universities and departments which candidates can choose will be available according to the educational background of the candidate. Candidates may only choose universities and departments available to them in the system. An additional choice of university or department that is not available in the system is not possible. 7. Which communication channels can I use to get detailed information? For more information about Türkiye Scholarships and the application process, you may visit our website www.turkiyeburslari.gov.tr, reach our Call Center at 0850 455 0982 or send an e-mail to info@turkiyeburslari.org.